Come visit Larry H. Miller Chrysler Jeep Dodge RAM in Surprise, you will soon find the all new 2017 Chrysler Pacifica in inventory. The Chrysler Pacifica will soon be available at our Surprise Chrysler dealership, you can be confident that we will have the 2017 Pacifica you have been researching. Pre register for the Chrysler Pacifica and we will inform when we receive exactly what you are looking for. Fill out the form below and we will get right back with you. The Cars.com Family Vehicle Challenge ranks the most popular options in the segment. 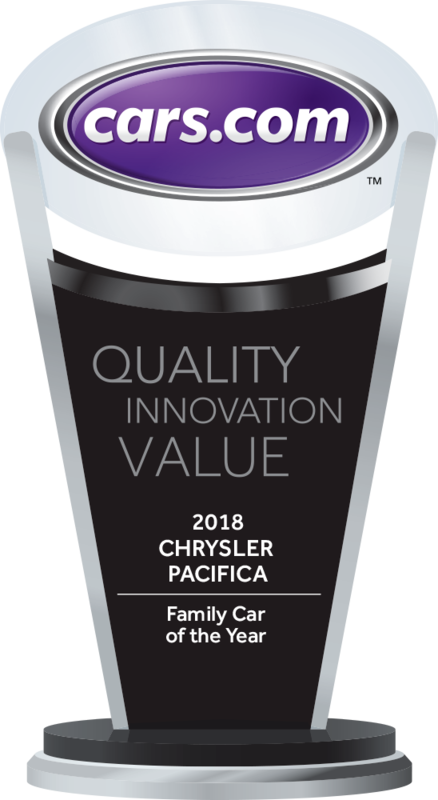 After extensive testing, the 2018 Chrysler Pacfica came out on top!